Some activists had been calling upon the military to back protesters and increase the pressure placed on President Omar al-Bashir to step down. However, the army on Wednesday said it will not allow the protests topple the government. “The armed forces will not allow the Sudanese state to fall or to slide into the unknown,” said General Kamal Abdul Maarouf, chief of staff of the armed forces, in a statement released on Wednesday. Protests have been running across various parts of the country since December, initially over steep increases in bread prices and commodity shortages. 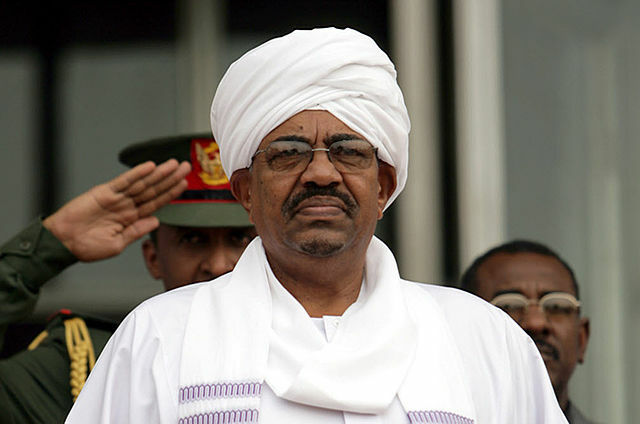 However, the demonstrations have become increasingly politicised with growing calls for President al-Bashir to resign. The president insists he will not step down and accused protesters of attempting to emulate the Arab Spring riots that spread across the Middle East in late 2010. Riot police have fired teargas and live ammunition at crowds during multiple demonstrations. Rights groups say more than 40 people have been killed during clashes with security forces and more than 1,000 people had been detained. In an unexpected move, authorities have ordered the release of all those detained over the protests since December, without giving any reason.